Chamtech, Montreal, Canada, introduces a new line of space-saving retractable enclosures for a variety of industrial applications, including spray painting, dust and fume management and nondestructive testing. The enclosures retract to 20 percent of their total length, saving valuable floor space. 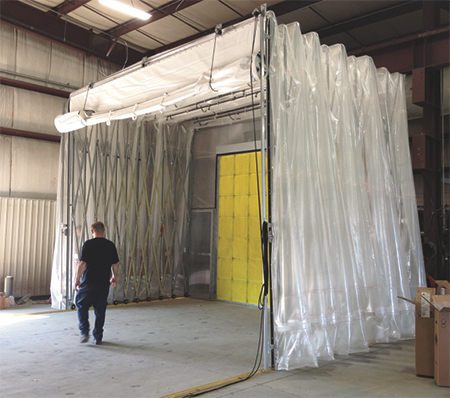 They also are practical for work on large, heavy or hard to maneuver workpieces—simply move the work into place by crane or forklift, then cover and uncover it with the retractable enclosure as needed. The enclosures come in a variety of material types and door styles for indoor and outdoor applications.